Thank you for joining us at Battle Mountain High School for [email protected] “Schools of the Future”! 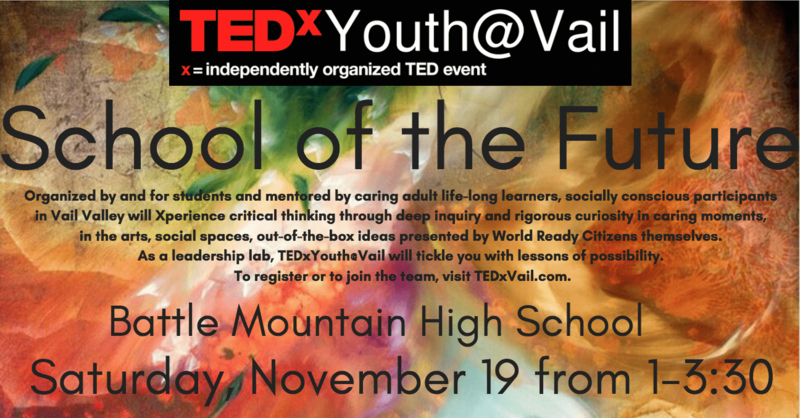 CALLING ALL VAIL VALLEY HIGH SCHOOL STUDENTS! Interested in being a part of the team for [email protected]? Contact us at [email protected] to learn more or sign up!